A person in the c-suite to oversee the wellbeing of employees…sounds awesome right? The concept of a Chief Wellness Officer is a relatively new concept gaining traction at places like the University of Pennsylvania and Stanford. It’s a promising concept but what does a person in this role actually do? Today guest, Dr. Bill Satterwhite, Wake Forest Baptist Medical Center’s first Chief Wellness Officer, breaks it down for us. 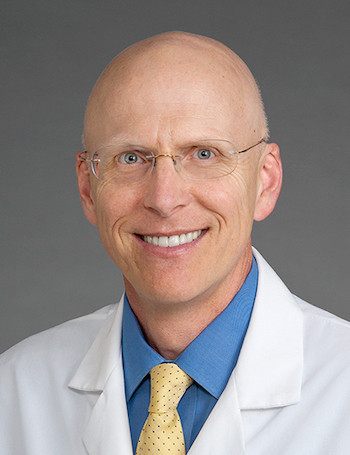 Dr. Satterwhite is one of its leaders in redesigning health care to be more proactive about health and wellness rather than reactive about sickness and disease. He develops value-based, customized integrated solutions for self-funded employers — including Wake Forest Baptist Health’s employees — designed to improve their overall wellbeing in convenient, cost-effective and health-effective ways. In this interview, we discuss his role as the Chief Wellness Officer, his approach to both employee wellness and the wellness services his team brings to clients, how they address physician burnout (including the violence they face) and of course leaves us with two tangible tips…plus a bonus tip. [5:15] The two reasons why the health system created the position of Chief Wellness Officer. [9:45] His challenge in his 1st year as Chief Wellness Officer. [11:30] How they’ve moved away from doing things that are broad but not deep, like screenings, Health Assessments and lunch and learns. [13:55] The surprising things employees tell the onsite clinic staff. [20:00] Their new model of internal employee wellness. [26:00] Barriers they’ve encountered when transitioning to the new model. [28:44] Their approach to burnout and how they got a peer based program set up. [39:04] Addressing workplace violence in a healthcare system. [44:05] Dr. Satterwhite’s two tangible tips (plus a bonus tip) for both healthcare systems and wellness pros. As the medical center’s first Chief Wellness Officer, Dr. Satterwhite is one of its leaders in redesigning health care to be more proactive about health and wellness rather than reactive about sickness and disease. He develops value-based, customized integrated solutions for self-funded employers — including Wake Forest Baptist Health’s employees — designed to improve their overall wellbeing in convenient, cost-effective and health-effective ways. This includes mobile and onsite clinical practitioners performing a variety of preventative and wellness services and programming, as well as sick visits, chronic condition monitoring, worksite injury and occupational medicine services. He uses his health law expertise to design solutions that comply with the myriad of legal requirements that encase the delivery of healthcare. He is responsible for the departments of BestHealth for Business which includes Corporate Health, Executive Health, Occupational Medicine, and BestHealth for Us (the internal wellness department). He joined Wake Forest Baptist Health in 2015.